You have created every aspect, every detail of it for your own entertainment and satisfaction. The parts you don’t like you created so there would be parts you don’t like. The parts you don’t know about you created because it wouldn’t be any fun if there weren’t parts you didn’t know about. The things you want and don’t have you created so you’d have something to strive for. The things you’d do anything to have be different you created in order to provide yourself with motivation. You created all of it — not by making it but by noticing it, distinguishing it, separating it out. until you came along, it was undifferentiated light. You turned it into a world of detail, a planet filled with distinction and life. You have it exactly the way you want it. CONGRATULATIONS Four New Reiki Masters!!! 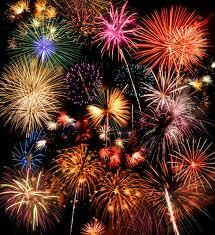 I’d like to send out a big CONGRATULATIONS to my four new Reiki Masters!!! 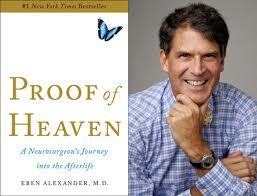 Robert, Amber, Mary Ellen and Cassie, you all are amazing people and enthusiastic and ethical healers. I had a wonderful time with you for this class and cannot wait to see where your spiritual paths take you. Truly amazing people I’m grateful to know and be one with. Congratulations to ALL OF YOU!! Thank you for sending Reiki to our dog with Parvo. Our other dogs are positive already so we are going to call the vet to administer medication to them. Is it ok to give reiki while they are in medication? Will Reiki wear off the effectiveness of the vaccine? Please send positive healing energies to my dogs. 🙁 I am really worried about them. Please be reassured, Reiki will not interfere in medication working in any way, if you are attuned to Reiki do it as much as you can. In fact by doing Reiki on your pets and their medicine you help to bring them in to balance with each other (positive vibrations working together as one). Reiki is healing energy directly from our Creator. This means, it is intelligent energy from a Divine Source, knows exactly what is needed for each pet and it does not harm ever. Thank you for your care and concern for your pets, I’m happy to do what I can as the channel for the Reiki. At the beginning of each year WordPress puts together a review of my blog. I love to see what countries people are from who find my blog and which posts are the most popular. It seems, of my new blogs for 2013 the most popular was “Reiki Your Grocery Cart!” There are links and other great info on this blog if you are interesting in other posts that people liked. Thanks for reading and posting your loving comments. I am very grateful for this form of communication. Being able to reach Reiki people all over the world, to me, is priceless. Whoo Hooo!! What an amazing year this has been. One year ago I listened to Divine Source and started a blog/website for my Reiki practice. It has been a year of learning a lot about building my own site and keeping it up, internet blogging and meeting other bloggers. I’ve also learned about marketing and socializing on the web, as I joined Facebook and started a Page for Reiki there as well. And it’s been a year of facing my many fears to write about what I love to the web public at large but is still not so popular with the world at large. What a year it’s been!! In case you do not know, I write what comes to me intuitively. I write about what I feel Divine has put into my head. I always have a thousand different blog ideas rolling through my head and if I don’t put them down on ‘paper’ they don’t go away. So, I type them into drafts on my blog and save them. Then I add to them until I feel they are complete. Then I send them out to cyberspace and pray the people who need to read them, will find them. And, they do. The WordPress people have been kind enough to supply me/us with statistics below about how many blogs I wrote my first year (57), how many views I had in the first year (7,400), how many countries I’ve reached (99) and how many views I have on my busiest day (86). But, what I remember the most when I think about what has happened to me and my Reiki life since starting this blog in January 2012 is the people. And, I’m not just saying this. The people are always what matter to me and my life. Here are a few of the stories that stand out to me. Please feel free to comment at the bottom if I have forgotten your story or you simply haven’t told me that my blog and writings in some way connected to your life. I’d love to hear that. I wrote a little blog about the tree frogs in my back yard because their song was so beautiful one evening. A woman in Sequim who had just moved here from Colorado was sitting reading in her window seat of her new home one day. A little tree frog came to visit her there each day. 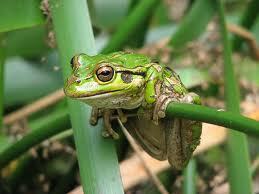 She decided to look up what the tree frog meant for her spiritual life and found my site. We met for tea, have much in common including children the same age and have become fast friends in a very short amount of time. We had dinner with their family last night. I’m eternally grateful for this new connection that came though this blog. I wrote a blog about one of my favorite healing stones, Kyanite. 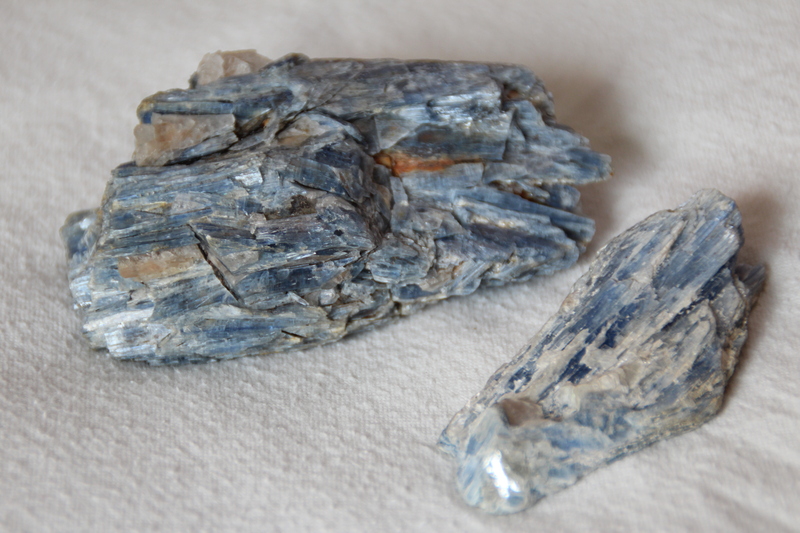 A woman in up state New York State had just purchased some kyanite from her local store. She went home to look it up and found my blog. She called me for a reading and wanted to know about mentorship. She is very psychic herself but does not have anyone near by that she knows of to receive help from and has not had positive vibes from the spiritual people she has found in her area. I’m so glad she found me. I truly enjoy mentoring other Light-Workers. A woman in the UK found my site and read about my struggle with depression. She too has dealt with this and could relate. She emailed me and we chatted on the phone a couple of times. I did a long distance healing on her and now she and her mom have now decided to take a Reiki class from me, from the U.K. They will be my first International students, taught over Skype. AWESOME!! Another woman was told she’s a Light-Worker. She didn’t know exactly what that meant so she went on the internet to do research. She found my blog and called me right away since we both live in Sequim. We made an appointment for a Reiki session. She signed up right away for a class and came to a circle. She certainly is a Light-Worker and a motivated one at that. I so look forward to where this relationship will go as well as her healing abilities. A third and different woman also in Sequim who I have known for a while but had not told her what I did, was also told she is a Light-Worker by another psychic. Her son and my son are very good friends at school but rarely played after school together. So she and I had not gotten to know each other very well beyond school events. She went on the internet to do some research about Light-Workers and found my site. She immediately called me and was so excited that there was someone in our small town teaching Reiki and spiritual classes to kids and adults that she could barely contain herself. And, someone she already knew! I was equally excited. We had both felt a friend connection prior but had not acted on it. We have gotten together for tea, Reiki circle and she will soon be taking my Reiki I class. Our boys are happy too because now they get to see each other at Kid’s Reiki circle as well as at school. I’ve had many other people call me who found my website. The call me asking about what I do and how I can help them in their spiritual lives; men and women alike, although, probably mostly women. Some are from the Olympic Peninsula where I’m from and many are from far away. I am meeting some really amazing people, all because I listened to the messages that Divine sent me and even though I had fears about doing so, I followed them. I am constantly amazed at how the people who I am supposed to meet and work with, through Divine’s help, find me. It is an excellent reminder at the power of Divine’s spirit and my ability to work with it to manifest the healing practice I desire for my life. I am not in this for numbers. I do not care if I reach millions of people. I care that I reach the people who Divine wants for me to meet, the people who need to work specifically with me. That is my goal, to meet the people I can help the most. I’m so grateful I followed Father God’s message and completed the site and all the blogs I was told to write. What if I had not written the Frog Totem blog? I would have missed out on an amazing friendship. No, Divine has a way of hooking us up anyway. But, it’s a very nice story of how we met and I much prefer it. I’ll keep listening and keep writing. I hope you read. The statistics are below if you still want to read those. Find out what my five most popular blogs were this year. Eighth in a series of blogs written by Josslyn Streett of Rain Shadow Reiki for her series on nutritional healing and juicing. 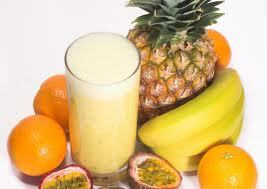 To catch up start with blog 1, A Sensitive System or search categories under Nutritional Healing. Juicing and fasting on the run. That’s how it’s done. I do have to say the coconut milk, which is supposed to help you re-hydrate and give your body much-needed electrolytes and vitamins, tastes to me, HORRIBLE! Now, I will eat almost anything in the name of good health. I have taught myself to like many foods I didn’t like before, all in the name of good health. If I think my body needs it and wants it I will learn to like it, BUT NOT THIS. I felt like a little kid again, plugging my nose while drinking it just so I could get it down. Wining, scrunching my face, wincing, practically crying because it was so bad and I knew I had to drink it. 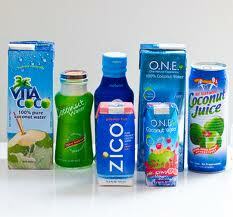 Coconut water, a huge new trend, but is it really that good for us. I hope not because I don’t know if I can ‘down’ this one. My kids found this hilarious since it’s their mom, the one who always says “you can try anything once”, or “You can learn to like anything that is good for you.” They both acted like “Hey, this is no big deal. I bet it’s not so bad at all, we’ll prove her wrong.” Well, they tried it, with these confident cocky looks on their faces and they attempted to pretend it didn’t taste bad, but they couldn’t do it either. Because I had made such a big deal out of the bad taste, they of course, had to play it down a lot and NOT make a big deal about it. But their faces told the whole story. Finally my older son says “O.k. you’re right, that’s pretty bad.” Maybe it’s the brand, I don’t know. This coconut water thing is all new to me. There MUST be a better way. UGH. Here is an article about coconut water by Dr. Mercola. 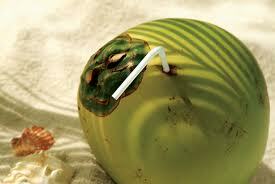 Read if you want to know all the great health benefits about coconut water. It helps me to get it down to know a bit about how it is good for you, but I’m still plugging my nose the whole time. Chicken is not supposed to be good for people with blood type B or AB according to Dr. D’Adamo of the book “Eat Right for your Blood Type.” I eat based mostly on this diet. I also am not one to believe that everything that is supposedly good for you is good for everyone. I believe we are all different and all need a unique diet. I like the healthy eating plan by Dr. D’Adamo from the book, “Eat Right For Your Blood Type” because they seem to work for me and many of the people I know AND it is unique for each person. No diet is ever the same for any one person. That makes more sense to me. I have not muscle tested strong for coconut products in the past so I’m not totally sure about this water. I’m drinking it for the cleanse because I’m doing my best to stay as close to the recommended diet as possible, but I’ll have myself tested for it again before I decide if I’ll continue with it after the fast. Just because hundreds of people do well with coconut oil, or coconut water, or brussel sprouts, does not mean that I do well with it. 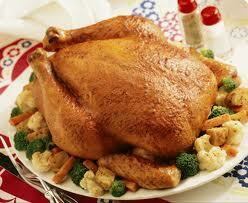 Just because chicken is healthier for some people does not mean it’s healthy for everyone. Seriously. I listen to my body to determine that. I encourage YOU to do that too. Listen to your body. Get yourself muscle tested for items you are not sure about or if you are not at a place where you trust your intuition enough. When you get tested, you’ll be surprised at how spot on your intuition usually is. Trust, it’s one of the toughest parts of intuitive abilities. Empower yourself one day at a time by trusting your intuition a little more each and every day. What have you got to lose? Probably not much at all. Give it a try. Hang in there and I will too!